The world's most influential chef would like Australians to eat more insects. ''Insects are future foods,'' says Rene Redzepi, the Noma chef whose lofty reputation was built on his dexterous modern food based in an extreme brand of locavorism (locally sourced food). Green ants would be a good start - crushed with salt, their citrus flavour should make a good match for the sweet grilled onions Redzepi is serving with native wild herbs and foraged succulents as part of an Australian-themed dinner for Good Food Month. It's an enduring surprise that a chef from Denmark would take the world stage and help redefine Australian food in the process. But that's the breadth of Redzepi's influence. His Copenhagen restaurant was named the world's best restaurant three years running and now sits at number two on the San Pellegrino-sponsored list. The accolades have made him a hero, a target and a bundle of nerves. His journal, part of his much-anticipated second book Rene Redzepi: A Work in Progress, reveals a man on the edge, dexterous with expletives, prone to self-doubt, depression and occasional outbursts of anger. ''I think it's good to be nervous. I say to my chefs, if you aren't nervous you don't care enough, but the world's greatest thing? That was a shock to my system. For a while I became really afraid. The journal (which follows a year in the life of Noma) was about going back to being unafraid,'' he says. 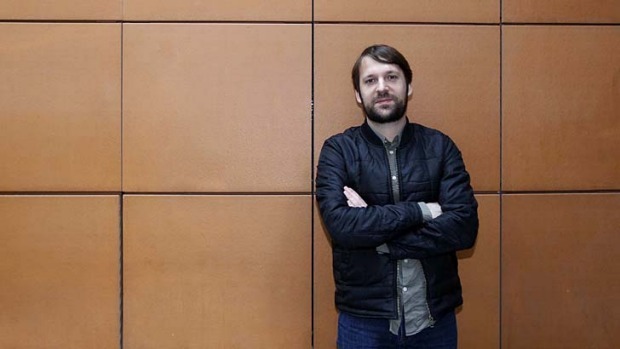 Ahead of his sixth visit to Australia - ''I really could live in Melbourne; it reminds me of Copenhagen, except with better weather'' - Redzepi refuses to take credit for the growing number of Australian chefs using native ingredients, from wallaby to sea succulents. Yet as contradictory as it first appears, the micro-specific geographical bent of Redzepi's food has caused waves across the food world. Rene Redzepi is guest of honour at the launch of The Age Good Food Month presented by Citi on October 29 in Melbourne and will speak at The Wheeler Centre on October 30 (booked out). In partnership with Phaidon Press, he is also guest of honour at The Great Australian Dinner in Sydney (October 27, the Star, limited tickets still available). He will also speak at the Sydney Opera House on October 28. See goodfoodmonth.com.